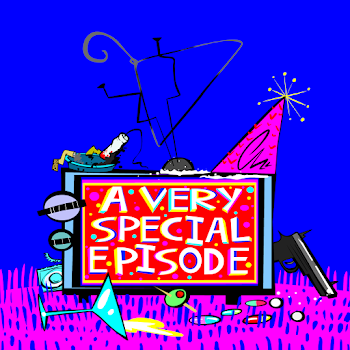 A Very Special Episode: AVSEPod Episode 61: Small Wonder - "Oooga Mooga"
AVSEPod Episode 61: Small Wonder - "Oooga Mooga"
Oooga mooga, everyone! 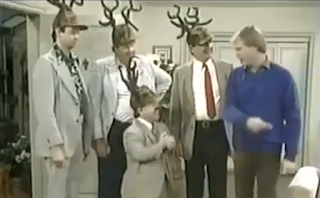 Our special run of weekly Christmas episodes continues with an episode from Small Wonder, in which the patriarch of the Lawson family/creator of small wonders is convinced to help organize a fundraiser for a caribou-themed lodge in the interest of furthering his career. If that doesn't sound very Christmas-y, well, that's because it's not. Turns out Ryan got tricked by the internet into thinking this was a Christmas episode. Consider the endless razzing he receives for this by Carolyn, Austin & David to be our Christmas gift to you. So bring borrow a creepy living doll from a story (and break it), then download and listen here, rate & review us on iTunes or listen via Podbean, Stitcher and Google Play. You can follow the show on Twitter, like our Facebook page, and email us via avsepodcast@gmail.com.